Ministry Compass was created to enable churches to easily connect with their members. 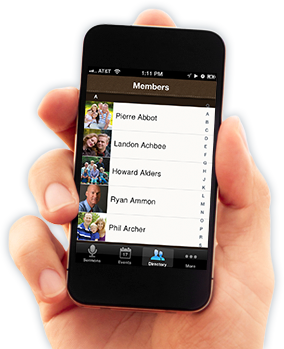 Since over 50% of most church members use a smart phone, Ministry Compass makes it easy for users to listen to sermons, sign up for events, view the member directory, give online, and memorize scripture — all on the go. Ministry Compass is a free, stand-alone app that anyone can download today on the Apple or Android app stores. You can instantly follow any of the subscribed churches listed within the app and see for yourself how the app works. To get your church listed in the app and provide your members with your own content such as sermons, a calendar with online registration, the membership directory, and more, simply sign up for a church subscription and choose which Ministry Compass features you'd like to integrate into your church's website. We'll do the rest! Ministry Compass runs on Backstage. See what makes it unique.